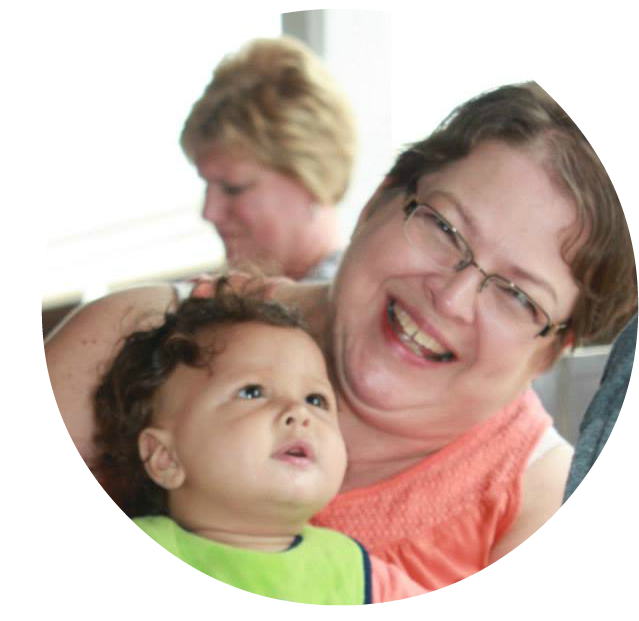 I am so excited to be Hippity Hop Blog Hopping again! 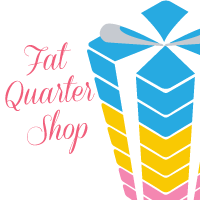 It's been over a year since I've participated in a blog hop. 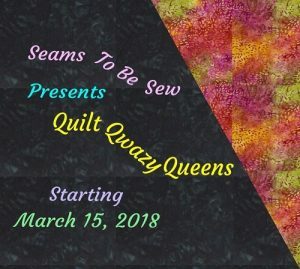 I used to participate in blog hops with Mdm Samm at Sew We Quilt but she has gone another direction in her blog life and isn't hosting them anymore. She really challenged my creative side and was the encouragement I needed to start publishing my own patterns. 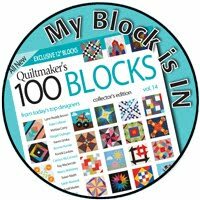 I really missed the blog hops so was super excited when I was invited to participate in some new ones. 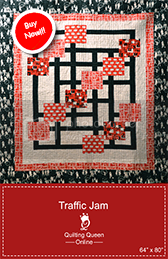 Marian at Seams to Be Sew is hosting some blog hops and has invited me to join along. I couldn't be more excited! You already know about the first one because I've talked about it several times already. It's the EQ Seasonal Row Along. You can read more about all the fabulous prizes here. The second one I just signed up for is coming in October for Halloween. You can read all about it here. I already have a project in mind in hopes that someone would be hosting a Halloween blog hop. Of course, I don't have it finished but at least I know what I'm going to do. 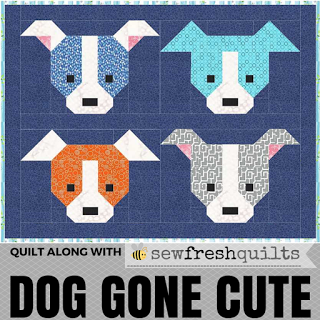 Then Lorna at Sew Fresh Quilts is having a Dog Gone Cute Blog Hop. The pattern is just so dog gone cute! You can read all about this one, along with the sew along here. 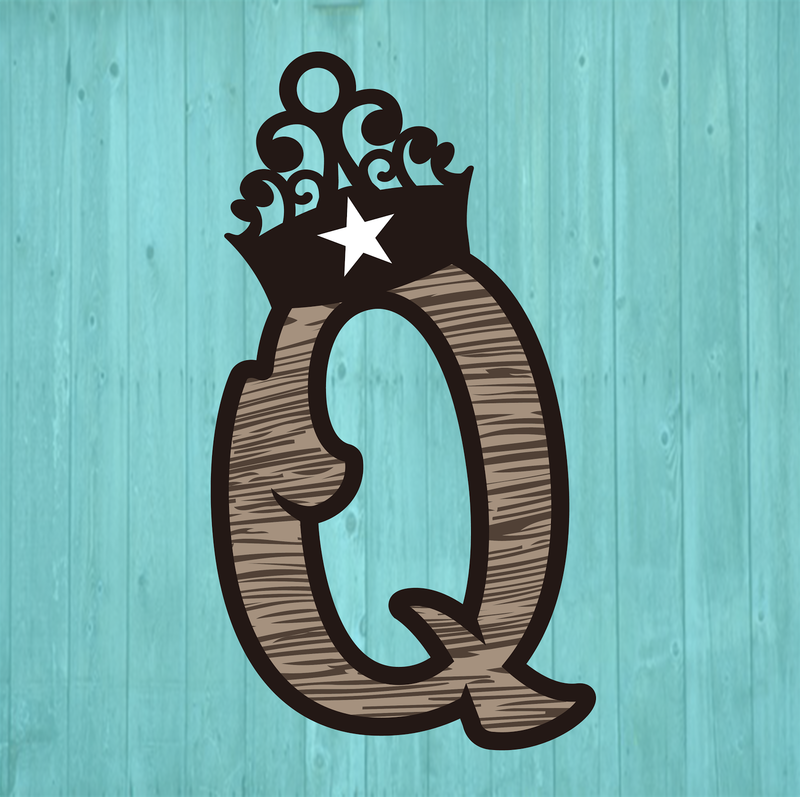 Be sure to join us for all three blog hops. 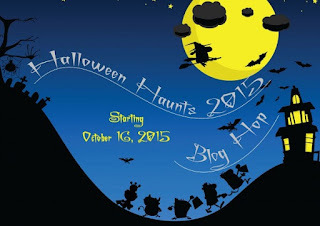 You can Hippity Hop Blog Hop with us too!